to lure customers. After operating systems, the war is now on processor. From single core processors to dual core ones. Dual core processors phones have drawn significant attention and after LG and Motorola, HTC has burst onto the dual core scene with HTC Sensation. Will a dual core processor coupled with other powerful features make HTC Sensation smartphone a serious contender among smartphones? Does the phone have in it to entice users. Check out our HTC Sensation review to know more about the device. In the past HTC has made some really attractive handsets which boasts of superior craftsmanship of the company and HTC Sensation is no different. The curves on the back and front of the phone give it a pretty elegant look. Thanks to the aluminum case, the phone looks very solid and robust when gripped. With dimensions measuring 126.1 x 65.4 x 11.3 mm, the phone is quite slim and will slip easily into the pocket. HTC Sensation cover is really cool and gives a great feeling when the phone is gripped. The device however is pretty heavy when being gripped as it weighs approximately 148 grams. HTC Sensation display measures 4.3 inches and is capable of rendering colors of resolution measuring 540×960 pixels. The glass is made up of gorilla glass which protects it from scratches, smudges and spills. The S-LCD screen is quite responsive and the screen responded instantly even on the gentlest of taps. But there are some issues with the display. Viewing angles are not that great and though the colors are good yet the contrast is lost when the phone is slightly tilt. When it comes to legibility in sunlight, the performance of the screen is quite decent. The contrast ratios are that not that impressive, but overall the performance of the screen is above average. Below the screen you get the four capacitive keys while above the screen one gets the proximity and light sensors while on the right you get the VGA video call camera while at the bottom of the phone you see the mouthpiece. The display performance of the phone is quite decent. Applications play an important role for any smartphone and realizing this fact HTC, has packed the device with several inbuilt applications such as Google Search, Maps, Google Talks and Picasa integration. There is a document viewer which will help you to see microsoft documents. With the HTC Youtube application, watching Youtube videos are a delight on the phone. One can also download applications of their choice from the Android market. 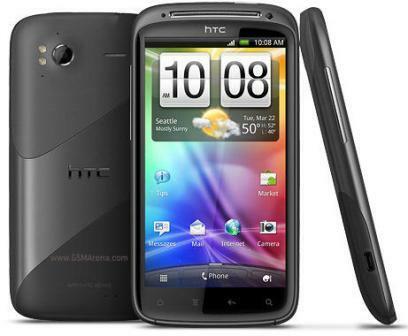 1.2 GHz dual-core processor is one of the greatest HTC Sensation features. Because of the dual core processor operations of the device are ramped up and scrolling web pages and playing games are a delight on the phone. It runs on Android 2.3.3 (Gingerbread) operating system and uses HTC Sense 3.0 UI. The phonebook of the device is pretty neat and the phone offers smart as well as voice dialing. Pocket mode is another positive feature of HTC Sensation. This feature ensures that when the phone is in your pocket, the volume rocker increases. The phone handles all type of text messaging – SMS, MMS, email etc. There are two types of email applications namely traditional Gmail app and generic HTC mail app which helps you to sync all your email accounts in a single inbox. We had no problem in setting up our Yahoo mail and HTC Mail application has several tabs. You can sort the email as per your choice either in ascending or descending order and the email capabilities of the phone are pretty standard. HTC Sensation mobile has a virtual QWERTY keyboard. The keys are well placed and are quite handy while messaging or mailing. The phone has a 8MP camera which is competent of clicking pictures of resolution measuring 3264×2448 pixels. The camera has dual LED flash, so clicking photos in the dark will not be problem. The camera has also several new features such as geo-tagging, touch-focus, image stabilization, face detection etc. The camera interface is pretty simple. But we were a bit disappointed to find that the image details were not that great. The camera also lacks dedicated camera button. But in general the camera performance of the phone is quite good. The phone captures videos at 1080p@30fps and 720p@ 30fps. Videos are shot in .3GP format. The videos rendered are quite good and quite smooth. Connectivity is seamless with HTC Sensation. The phone offers great set of connectivity options with support for both 2G as well as 3G network. Local connectivity of the device is enhanced by the presence of Wi-Fi b/g/n and full DLNA support and Bluetooth 3.0. There is also support for microUSB 2.0 and 3.5mm jack. HTC Portable Hotspot also supports 1 to 8 devices. The latest Gingerbread web browser functions brilliantly and the browser supports double tap zooming and text reflow. The FM radio of the device has a simple interface and it supports RDS and loudspeaker playback. The music quality of the phone is very good and the audio output of the standard music library is very good and the audio output is pretty loud and clear. Even with earphones plugged in the audio is not very loud and is quite impressive. During HTC Sensation unboxing we found the phone to be equipped with accessories such as charger, microUSB cable, 8GB microSD card and user manual. 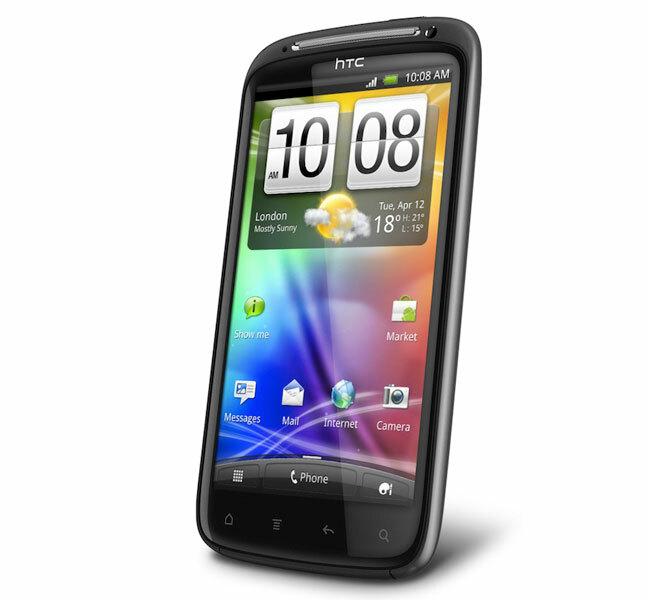 To download HTC Sensation user manual, click here. HTC Sensation QWERTY is powered by a Li-Ion 1520mAH battery which provides a decent talk time. The phone is available across leading HTC retailers across the globe. You can also purchase the phone online from several online sites like Amazon.com. HTC Sensation price in UK is approximately £400 while HTC Sensation price in US is around $ 500. Price of the phone in India is approximately Rs 30,000. HTC Sensation mobile has been packed with several high quality features. The dual core processor with twin cameras and presence of several apps makes HTC Sensation a great purchase.